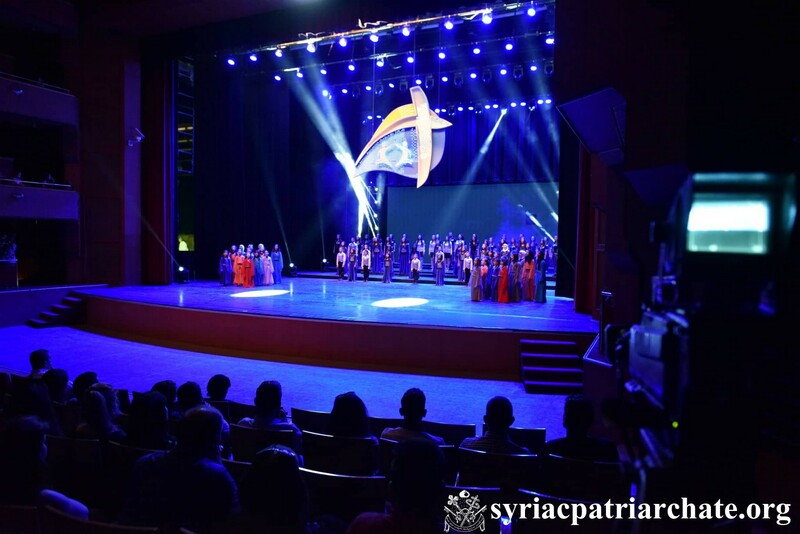 On July 19th 2018, His Holiness Patriarch Mor Ignatius Aphrem II attended “Sure we can” play, which was prepared by Sabro team under the auspices of the Patriarchate of Antioch and All the East, at Dar Al-Assad for Culture and Art in Damascus. 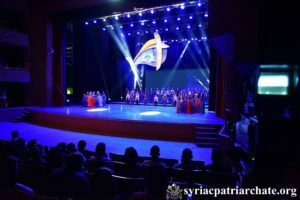 Children from different orphanages in Damascus participated in the play, namely from: Panteleimon, St. Paul, Dar Al-rahma, and the Little Angel House orphanages. Sabro team, of St. Jacob Baradeaus Church in Jaramana, helped the children discover and enrich their gifts with the help of teachers from the High Institute of Arts for nearly one complete year. The play included various scenes that showed the children’s talents such as acting, singing, dancing, playing the violin and drawing. At the end, His Holiness gave a word in which he congratulated Sabro Team and all the children for their great work. He considered that the play is the fruit of this work; however, the thing which is more important is that the team has enriched the children’s talents, a sign of hope for a better future for them. His Holiness noted that the word Sabro (ܣܒܪܐ) in Syriac holds a deep meaning; it is not only that one should have hope, but also share it and give it to others. He assured that “Sure we can” is slogan for all of us especially in Syria where hope was revealed throughout the years of crisis. His Holiness considered that wars aim at making man lose his hope; however, we have made certain that together “sure we can” defeat all such trials. The work of this team, His Holiness added, is clear evidence that hope and love will prevail. He added that seeing these children, from various religious and social backgrounds, participating together in this event is also a vivid sign for a better future in Syria. The event was attended by political figures, dignitaries, artists, and a crowd of people.